Discussion in 'Beer Talk' started by mklmg, Apr 7, 2019. Growing up in the 50s & 60s, my parents used to keep a set of Pilsner glasses in the China Closet or China Cabinet, I forget it's been so long. Anyway, we had these really nice Pilsner glasses; I'm guessing they were etched, but the main thing that stands out about them was that the glass was so delicate, if you brought it to your mouth too quickly, the rim would chip & break, as if the glass was hollow. The Pilsner glasses I see for sale these days, you'd break off your front teeth before chipping the glass, they're so thick. 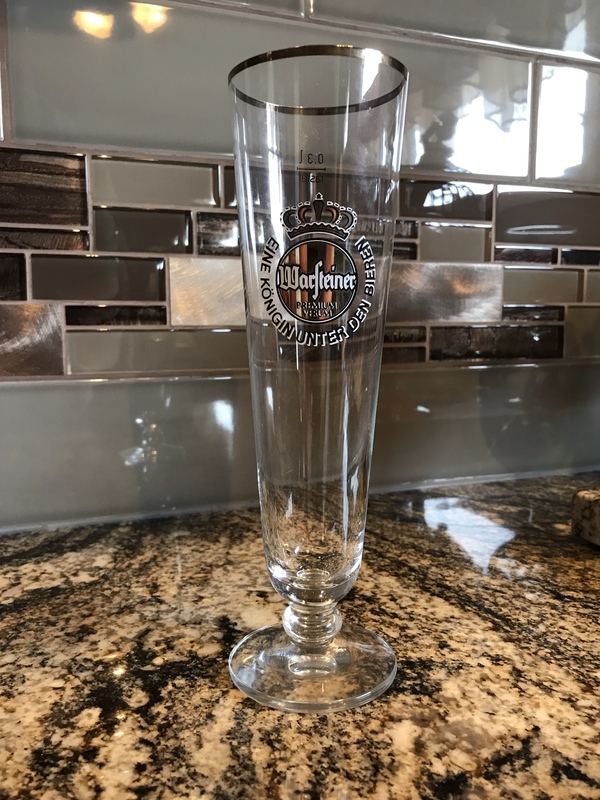 I was wondering if anybody knows if there's a specific name or brand of Pilsner glass like those beauties from years ago ? By the way, Dad would be pouring ice cold Ballantines into those beautiful Pilsner glasses. tylerstubs, Buckeye55, Jaycase and 12 others like this. nc41, puck1225, tzieser and 3 others like this. I have a couple of Spiegelau IPA glasses that are super thin walled. Maybe they make pilsner glasses as well? Sheppard, LeRose, mklmg and 1 other person like this. I absolutely love these old style Pils glasses, perfect for the beers. 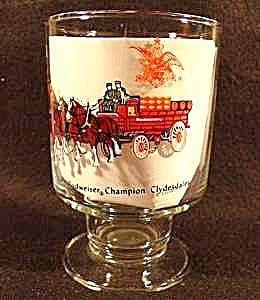 Have a few 70s glasses left from an old set that I got from my dad. Unfortunately most I managed to break thru hard use. Using one now. Buckeye55, Tdizzle, Reef and 2 others like this. Ha I was going to joke that maybe Spiegelau made them. But the OP said this was years ago. My neighbor found a couple of boxes of these when he bought a house. He gave me one of the boxes which was old and dusty and had obviously sat in a basement for years. There were 12 in the box. They are very delicate. Hand wash only. GormBrewhouse, LarryV, Milktoast75 and 22 others like this. Buckeye55, Troutbeerbum, MikeP64 and 3 others like this. tzieser, BuffaloBill12, mklmg and 2 others like this. mklmg, Roguer and AlcahueteJ like this. tzieser, mklmg, riegler and 1 other person like this. Oh wow! I never even suspected. I’ve given some away over the past few years. And now that I think about it, there may not have been 12 in the box. I still have seven. cjgiant, jdell15, AirBob and 6 others like this. Years ago I though Pilsner was a type of glass not a style of beer! IronLover, Troutbeerbum, SFACRKnight and 2 others like this. The OP mentions that today;'s Pilsener glasses are too thick. Well 16 months ago I bought my wife Sixpoint Pilsener glasses for Christmas. She lovesThe Crisp and Aplen Flo so I thought it was a slam dunk. She opened the present and they are super thin, delicate and beautiful. Fast forward to the present and..........we never use them. My wife and I are clumsy and we're always worried about these glasses breaking if we look at them wrong. Victory_Sabre1973, Ranbot, JackHorzempa and 2 others like this. jdell15, donspublic and mklmg like this. I'd hit up local flea markets, yard sales, junk stores, thrift shops, Salvation Army/Good Will, etc. You can probably pick some up for 25¢ - $1 each. PorterPro125, keithmurray, BuffaloBill12 and 6 others like this. 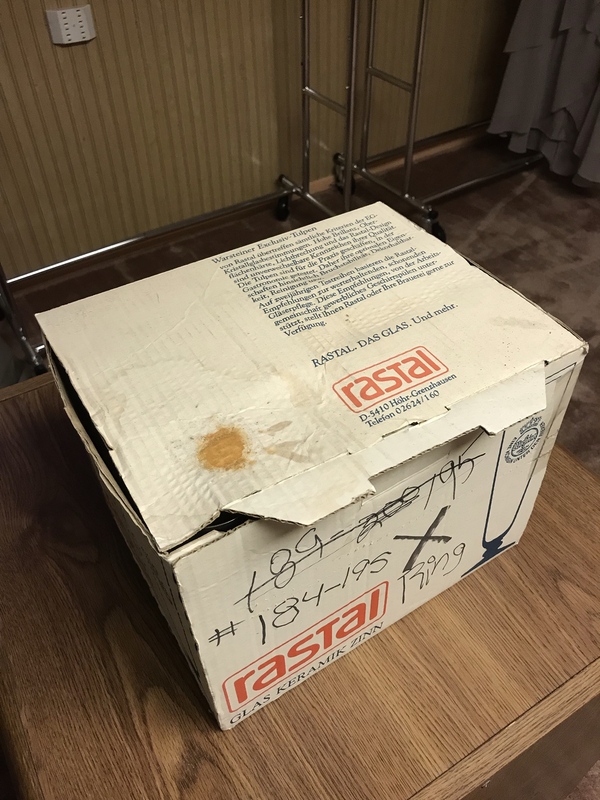 Rastal ain’t cheap!! Especially if it’s vintage like yours. What a great find! Definitely a gorgeous glass worth holding onto for good. Thanks for sharing! BuffaloBill12 and Ronmarley1 like this. Not that Wikipedia is always accurate, I'm fairly certain many places call types of glasses "Pilsner" glasses. I always thought that about my Spiegelau glasses...but knock on wood I've only broken one and I use them just about every single week. I guess the local corner liquor store in your neighborhood didn't have this former-NJ brewery's neon in their window then, huh? It was there in "Pete's Liquors" where I grew up as long as can remember (next to this Ballantine Ale neon), and it stayed up long after Krueger brand was bought by Narrangansett and slowly disappeared from the NJ market. 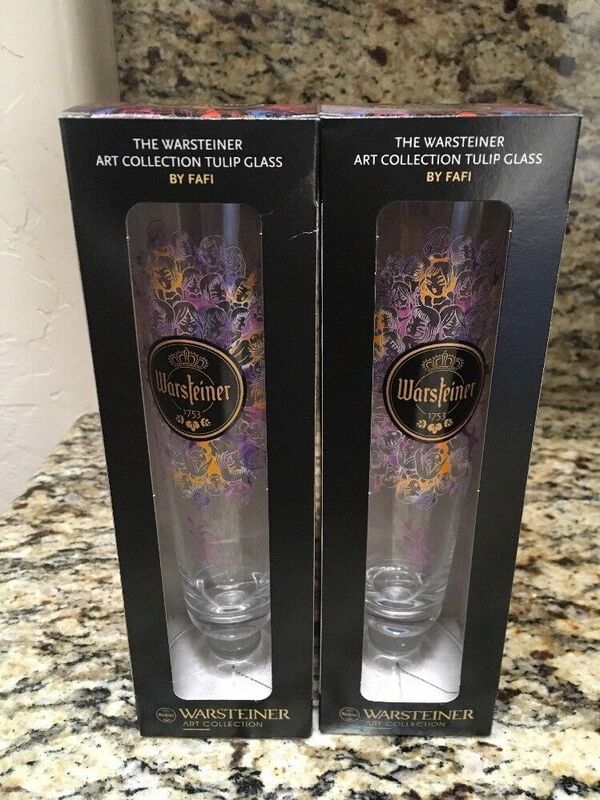 Yeah, I tried that Spiegelau Glass website, no luck there, but I did learn that they call it "thin blown glass"
I checked Ebay, & the nice etched thin blown glasses are quite costly, but I didn't see anything close to what I'm looking for. Onward, through the fog ! 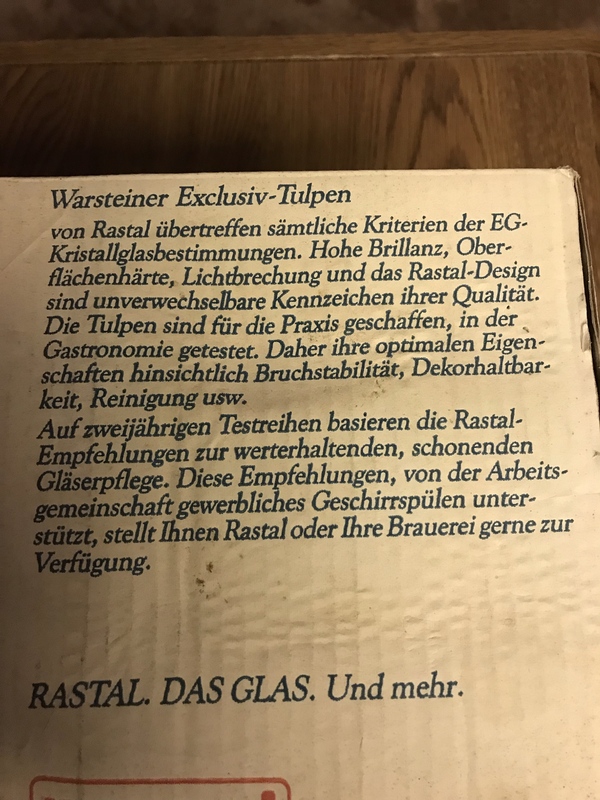 I tried that Spiegelau Glass website, no luck there, but I did learn that they call it "thin blown glass"
The concern here is that the Spiegelau Pilsner Glasses did not 'replicate' the glass shape that you would prefer? Maybe you could make a concession to expediency here and purchase them anyway to achieve the aspect of a thin glass Pilsner Glass? mklmg and donspublic like this. On the subject of glass I’m always on the lookout, I found some Waterford Cognac glasses mint on Saturday for $20 a piece at a consignment shop in Mt Airey. They’re easily worth twice that. Well, as noted often, US beer glass names vary from brewery to brewery, region to region, glass mfg. to glass mfg., etc., and, as noted in the below illustration from AB, they listed 3 different pilsner styles - sham, footed (what the OP is looking for) and I'll call the above closest to the flair pilsner (I'd also call it the "too-easy-to-knock-over pilsner". I'll call the above closest to the flair pilsner (I'd also call it the "too-easy-to-knock-over pilsner". Kind of looks more like the "hour glass"
The "flair pilsner" reminds me of this glass. Victory_Sabre1973 and FBarber like this. Kind of looks more like the "hour glass". 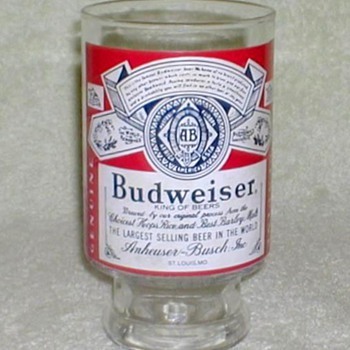 Pretty common branded glass at one time - most major brewers used them and if you asked for a "glass" of beer, that or a sham pilsner was usually what you were served. I'd call that Samuel Adams glass a cross between the Flair and the Sham pilsner styles. "Sham" refers to the thick "bulb" of solid glass at the base - so a "Sham Flair Pilsner"? nc41, FBarber, Troutbeerbum and 2 others like this. The Spiegelau is the same shape as the hour glass glass to me, just thinner. But yes, all different variations all over the place. I wouldn't call it a flair though, since there's no flair at the top. Sham Flair Pilsner works for the Noble Pils glass...or just "Pilsner". 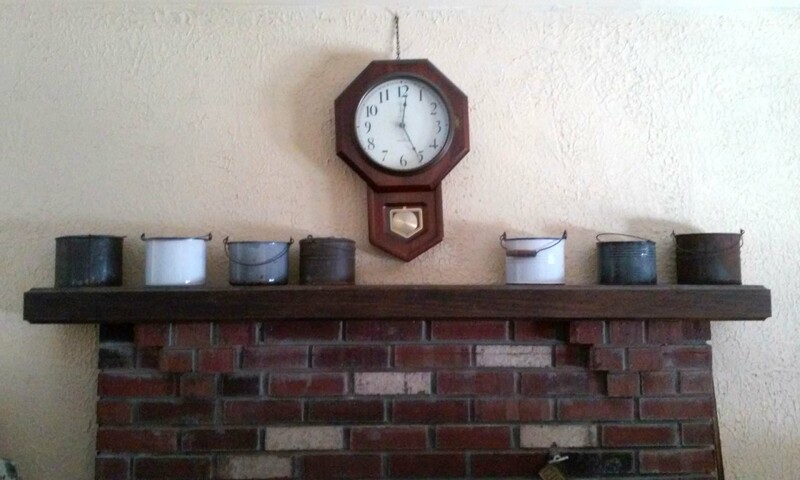 I need pics of this circa 1985 55oz beer bucket in action. I also have this one at home...still not quite it though. nc41, FBarber, Troutbeerbum and 1 other person like this. The 40oz wax carton caught my eye! FBarber, tzieser, AlcahueteJ and 2 others like this. 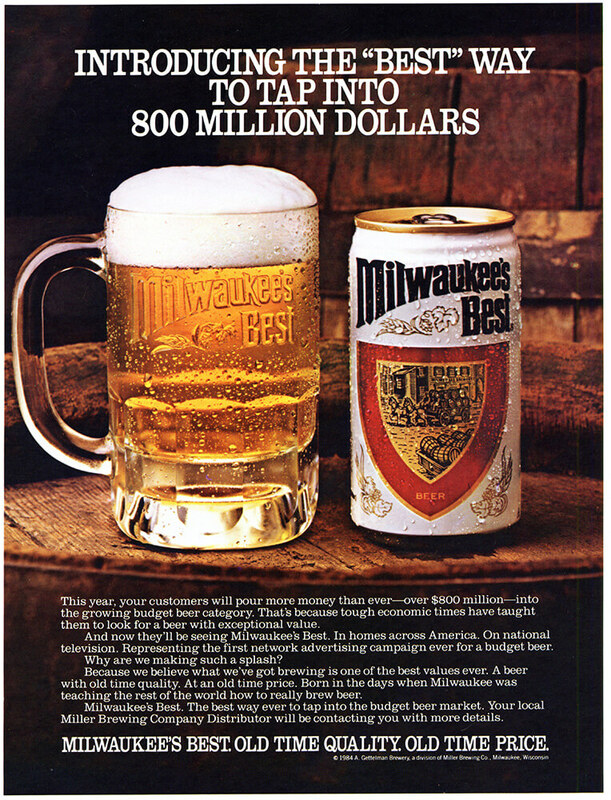 Oh, those were around into the 80-90s as growlers (except most were quart sized?) When some states started enacting mandatory bottle deposits, brewers encouraged their use again for bars that wanted to sell "beer to go" but didn't want to handles bottle returns. The round ones with slip on lids like the U.C. below were real common in NJ into the early '70s. 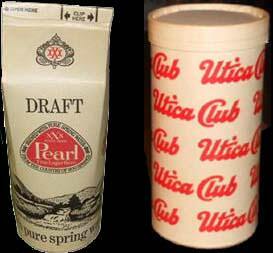 Called simply "containers", only thing you could buy when liquor stores were closed on Sunday or after 10 pm, and taverns couldn't sell bottles or cans to-go when liquors store were not open. Yeah, I never heard of true metal "growlers" being around that late...but, who knows? It's how my grandfather paid for his Harvard education. Also, I think some of you guys are taking those simple drawings of the beer glasses too seriously. That sham pilsner isn't right (the yellow "beer" shouldn't be in the solid glass "sham"), the shell has too much taper to it, most mugs had false-bottoms, many schooners weren't tapered, etc. FBarber, Troutbeerbum, AlcahueteJ and 3 others like this. Bucket! Bucket? Everyone in Chicago knows that's a growler. Just watch that first scene of The Untouchables. beertunes and tzieser like this. Sorry, I never really took any pictures at McCabe's on Growler Night in Dekalb, IL circa 1980. FBarber, AlcahueteJ and tzieser like this. Bucket! Bucket? Everyone in Chicago knows that's a growler. Or check out my GROWLER page. But, yeah, it is curious that AB choose "bucket". Regionalism? "Growler" came to have a bad reputation by the early 1900s pre-Pro, but that illustration's from the 1980s. OTOH, Ol' Hank called it a bucket, too. rgordon, beertunes, beertrip and 1 other person like this. 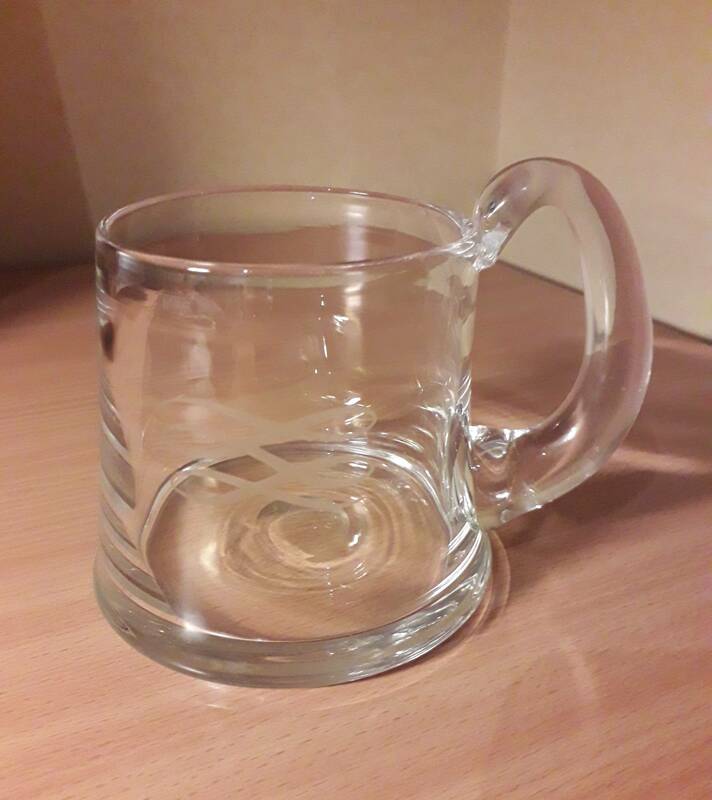 Beer mugs are my favorite kind of beer glass but the model below is my absolute favorite. Just has a perfect balance between the heavy base, the chiseled bottom pattern, and the proportions are just right. Haven't come across one over here sadly, seems like it's solely an American design. FBarber, AlcahueteJ and jesskidden like this. Maybe a bad rep by the 1900s, but it was back in fashion 80 years later! I'd honestly never heard the term until I went to college, but a couple years later I visited the Chicago Historical Society (now called the Chicago History Museum, I believe) and they had a couple of those early 20th century examples on display -- Hey -- growlers! FBarber and beertunes like this. I hate those schooner glasses. A few places use them for Belgian beers. They are heavy and look to be a lot of beer but they don’t hold too much at all. FBarber and champ103 like this. 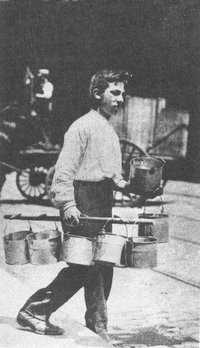 .. a couple years later I visited the Chicago Historical Society (now called the Chicago History Museum, I believe) and they had a couple of those early 20th century examples on display -- Hey -- growlers! Jaycase, beertunes, AlcahueteJ and 3 others like this. mklmg, FBarber, AlcahueteJ and 1 other person like this.